A collection of three great close-up card pieces. 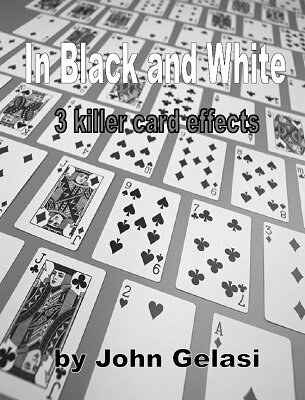 Change for Three Jokers: A novel "Wild Card" effect where three Jokers change into the mates of a selection one-by-one, concluding with the production of the selection itself. R.B. Mix: A simplisitc but effective "Oil and Water" routine with just 4 cards, but lots of magical moments. Waver: Nick Trost's classic "Eight Card Brainwave" taken to a new level.